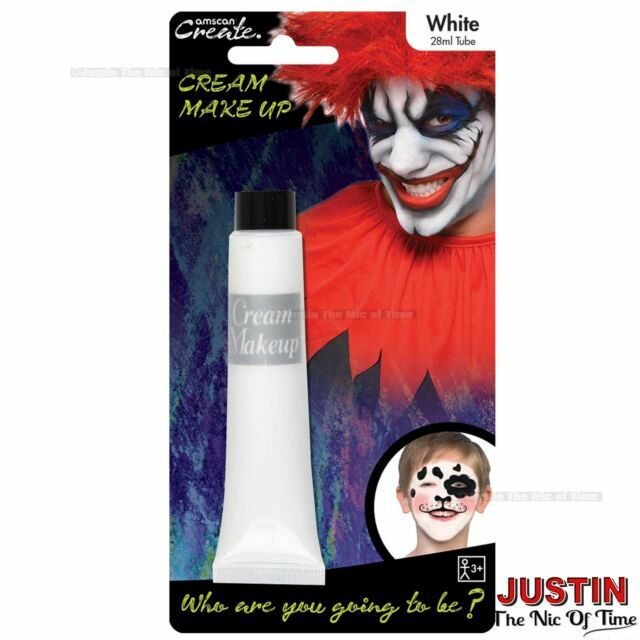 28ml Face Paint Make Up Cream Fake Blood Skin Kids Halloween Fancy Dress Party. Glow in the Dark Cream Make Up Tube 28ml. Purple Cream Make Up Tube 28ml. Yellow Cream Make Up Tube 28ml. Brown Cream Make Up Tube 28ml. Brought this for Halloween. I found it was easy to apply and lasted the night without having to reapply. Thank you. Does what it says, pleased with the results.